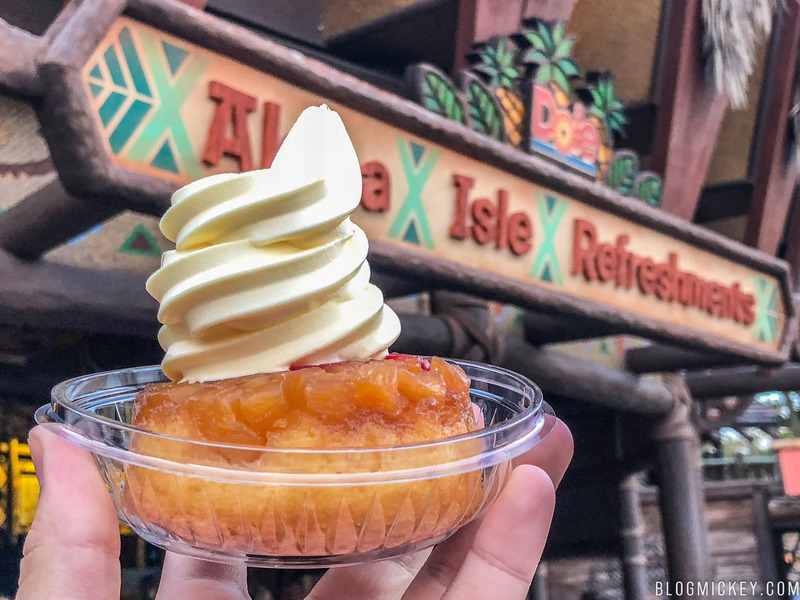 We made it out to Aloha Isle recently to give the Pineapple Upside Down Cake a try. 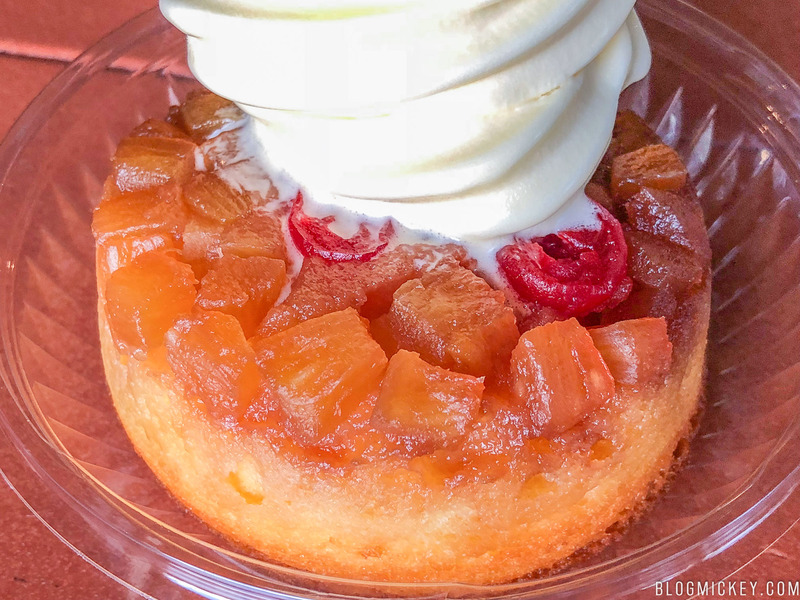 Your choice of vanilla, pineapple, or swirl ice cream sits atop a moist angel food base. Because one can’t get enough pineapple, a layer of diced pineapple sits between the base and ice cream. So how was it? Delicious! The angel food cake was a perfect choice to soak up a lot of the flavoring coming from the ice cream and pineapple top layer. You can expect the angel food cake to be moist and soft. We went with the pineapple ice cream to see just how much pineapple flavoring we could add. Don’t be afraid it’s too much pineapple flavor though, as we found it to be “just right” between a tasty snack and an overload of pineapple. There is even some cherry in there if you want to switch things up on the palate. 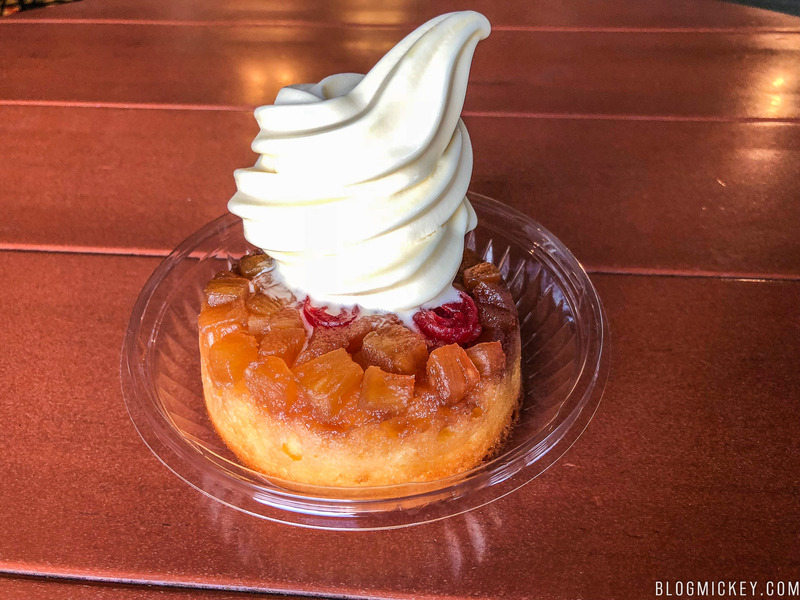 For those looking to get past the traditional dole whip, we can’t recommend the Pineapple Upside Down Cake enough! Previous articleWhere Will the New Toy Story Mania Entrance Be in Toy Story Land?